Trial Presentations — Hello. This is Kate. As a trial consultant I created persuasive trial presentations to educate and engage judges and jurors. I specialized in intellectual property cases, translating complex, technical subject matter into clear and informative presentations. As a lead consultant it was my role to meet with clients and subject matter experts, learn the technology at issue and craft effective visual teachings and narratives for trial. In a case before the International Trade Commission we had to explain the importance of minute details about the design and engineering of semiconductor circuits. Changes as small as .001 micron, less than 1/10th of a human hair, can result in a significantly different end product. 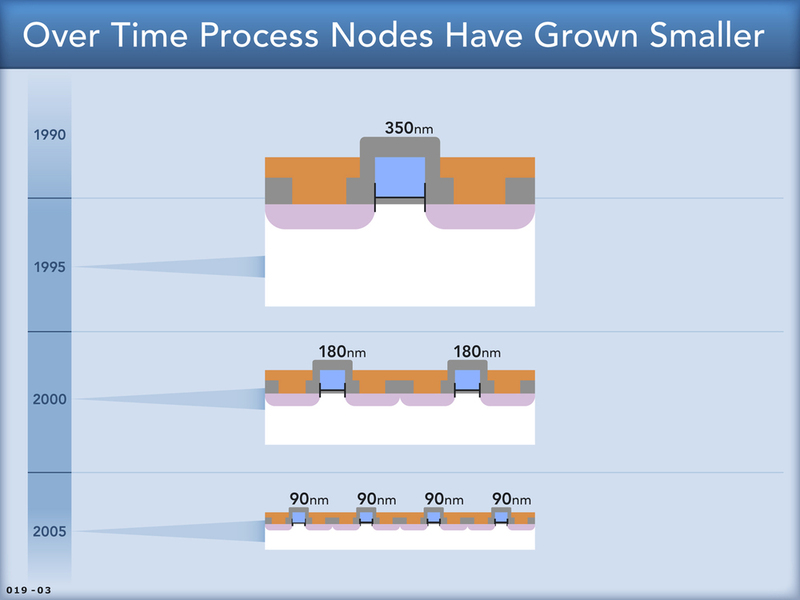 Working with a world-renowned semiconductor engineer and team of illustrators and animators, we built a comprehensive tutorial on the semiconductor engineering process using photography, illustration, animation and narrative metaphors. My favorite cases always involved the need to learn a new and complex technology. I enjoyed bridging the gap between the complex engineering and translating the technology into simple, accurate visuals and stories. My favorite moment was sharing the tutorial with our expert and far exceeding her expectations with the creative and accurate presentation for her use at trial.